Home » Industry » E-Commerce » UPU Adopts Ambitious Work Plan to Adapt to Growth in E-commerce. In reaction to the phenomenal increase in parcel and small packet traffic in the international system, and the corresponding decrease in letter mail, the UPU’s Postal Operations Council last week adopted a multi-faceted E-commerce program. This is known by the acronym “ECOMPRO” and calls for an aggressive set of activities. Five categories of action have been identified: market development, postal electronic services, logistics, interoperability, and payment. Market development includes projects in promoting and supporting development of online and internet capability in certain markets. These development projects are aimed at medium and small enterprises, primarily in the developing economies, and work on standards and security. Curiously, the program calls on the Direct Marketing Advisory Board (DMAB) to “increase in the provision of direct marketing-related products and services, including direct mail. “ While it is gratifying that the work of the DMAB, which GADA participates in, is being recognized, the remit is unusual. 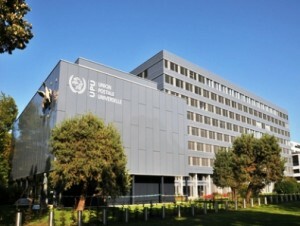 Given that this body is engaged predominantly in bringing forward knowledge on dm-related developments by the industry and holding dm workshops for developing country posts, we hope that the UPU membership is not disappointed by the DMAB’s continuance of its basic curation and education functions. But we are very pleased that specific reference is made to direct mail, a subject which is receiving a great of work by the DMAB which we will report on after its meeting on November 7. Postal electronic services work will focus on authentication of e-retailers and e-buyers and other trust and security exercises, including a secure mail service with .post, the new top-level domain open only to postal systems. Other projects focus on a “global repository for postal e-shops, an integrated e-commerce IT framework” and global track and trace. This latter service is not far off and is much too long in coming. Logistics projects will actually work on modifying current strategies and practices to make parcel and packet carriage faster and more secure, using the goal of moving as much of the process to the digital realm as possible. Obviously, this initiative responds to the electronic and digital applications the private carriers have implemented. Faster and safer are the goals. Remuneration models will be examined and supply chain security and practices regarding Customs and airlines will be improved. The Interoperability category includes work on information exchanges to improve speed, security and customer service. For once, addressing is specifically referred to with a project for address verification in EDI messages. It is anticipated that verification would be done within a system that would confirm both sender and receiver addresses by reference to the UPU’s Post*Code database. This is an aggressive, much needed, and imaginative, project. To the extent the verification system becomes something that customers will insist on, this could serve as a powerful influence to force more countries into expanding their address systems. Related to this is a project to develop escrow services. In an escrow scenario, an e-commerce customer’s payment remains in the hands of the delivery post pending acceptance of the goods by a buyer. This responds to a strongly expressed opinion in many countries of the need to provide this service where credit cards are few and COD is common. Finally, there will be a review of the terms of the remuneration amounts payable between postal operators for postal payment services. Given that the next Congress will be in 2016, the POC and its members don’t have very much runway left to fulfill this extraordinarily aggressive plan, most of it driven by the growth of international ecommerce. There is here in Bern a sense of urgency. In the past, this observer has usually felt that urgency during the last year before the Congress, so in fact the work is beginning to mature more quickly than we have previously experienced. This is no doubt driven by the combination of the phenomenal drop in international letter mail volumes over the last eight years, and the corresponding extraordinary growth in small packet traffic. We’ll present the data on that subject in a post later this week. We will say now that the “small packets” picture for the posts looks to be very rosy indeed. We can also observe a growing interest from all posts in data hygiene and address data availability. Posts are finally beginning to “get it”. More on this in week 2 of the UPU meetings.